This year we took our new summer range to one of the growing centres of European Stand Up Paddle boarding, work hard and test kit and (let’s admit it) get a bit of much needed sunshine after a grey winter in the UK. The Algarve region of Portugal is a growing centre for standup paddle (SUP) because of it’s perfect conditions to fit any type of paddling. It’s got waves, lakes, lagoons and rivers along with the beautiful weather and perfect conditions for surfing, down-winding, race training or just exploring. The Italian national team had their training camp in Portugal before the 2015 ISA Championships in Mexico and Connor Baxter and Sean Poynter have both taken advantage of Portuguse coaches in their time at the top. 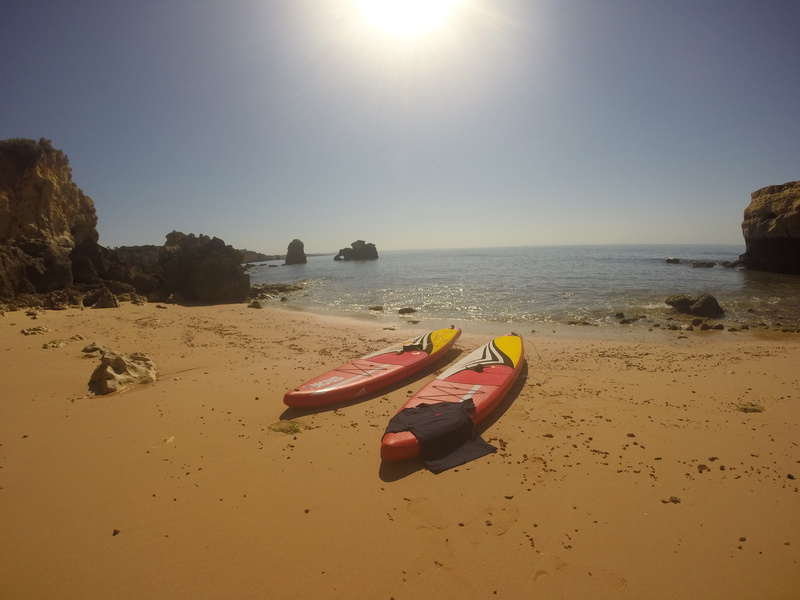 Linking up with my SUPfm Podcast compadre Nick Robinson we fully tested our board shorts and paddle shirts as we made our way along the Algarve Coast, and looked into the spectacular coastline caves and explored the marsh land of Faro. We also spent a night camping under tarps by a lake which supplies one of Portugal’s biggest dams and finished the day with a spectacular barbecue along with a couple of bottles of the local red stuff. We flew into Faro Airport which is served by many of the budget airlines and of course we highly recommend Nick at Algarve SUP for his local knowledge of the best stretches of water, along with his expert BBQ knowledge.